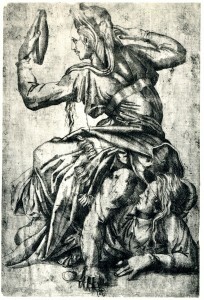 Etching, Anonymous, 32.7 x 22.2 (Kusenberg, Paris). Herbet, V, 1902, 74, 73, as Anonymous, School of Fontainebleau. LITERATURE: Kusenberg, 1931, 168, Pl. LXXX, 1 (Paris), as Anonymous, after Rosso, and as representing Aristotle and Phyllis. Panofsky, 1958, 161, 175, Fig. 57 (Paris), 177, n. 114, as Anonymous, and as representing Prudence Conquering Blind Ignorance. Only Kusenberg suggested that this etching is after Rosso. While there is some resemblance of the costume worn by Prudence to the clothing of some of Rosso’s French figures, the style of the image as a whole does not indicate that he is its inventor. Neither the face of Prudence, the face at the back of her head, nor the face of Ignorance resemble any by him. The position of Ignorance does not have the degree of clarity in relation to the pose of Prudence that one expects of Rosso. 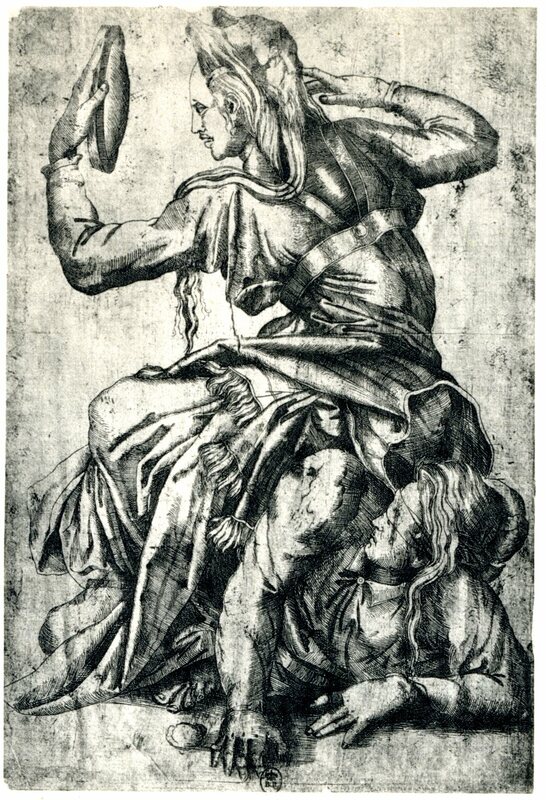 One might also expect the pose of Prudence, which may be dependent on Michelangelo’s Libyan Sibyl, to resemble more that of Venus in Rosso’s Death of Adonis in the Gallery of Francis I (Fig.P.22, III S a). But the high artificiality of Rosso’s figure is just what is lacking in the figure of Prudence. 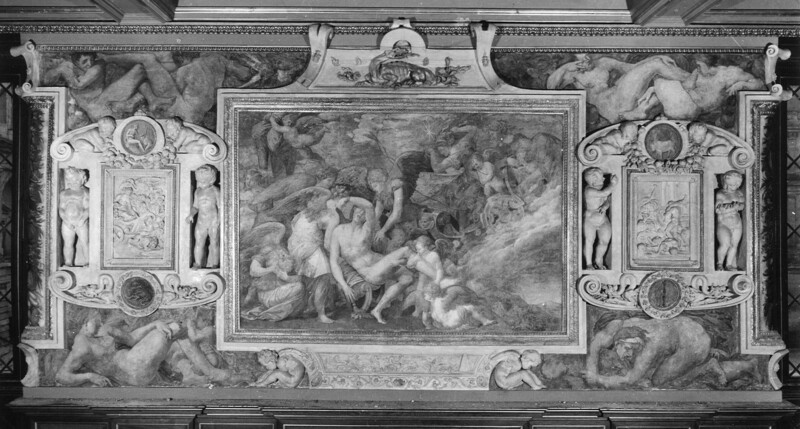 It is not clear to me that the etching was designed by a Fontainebleau or French artist. I am reminded of Salviati.